Go to the circuit court in the county in which you reside. Ask the clerk for the family law forms that apply to your situation. 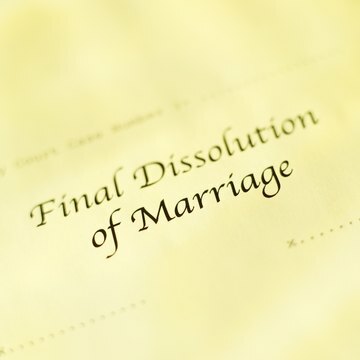 There are forms for divorcing parents with children, for unmarried parents with children, modifications of previous custody judgments and enforcement of parenting time and child support. You can also download the forms on Oregon's Judicial Department website. If you are still unsure of which form to complete, an online document service can help you. Complete the forms and attach a parenting plan. Oregon law requires that all petitions for child custody or parenting time include a parenting plan. The state provides sample parenting plan worksheets that parents can fill out, or you can attach your own parenting plan. Parents of very young children should note that Oregon does not recommend overnight visitation with the noncustodial parent for children under age 1. File the petition with the clerk and pay the filing fee. You must also have the other party served with the petition. For an extra fee, the clerk can have the sheriff serve the other party with the petition, or you can have a private process server serve them. Your ex will have 30 days to respond to your petition. Attend the preliminary hearing. The judge will likely establish a discovery schedule, ask about witnesses and determine the nature of the conflict between the parties at this hearing. She may also appoint a guardian ad litem -- an expert, usually an attorney -- who can investigate the case and file motions on the child's behalf.